Cardinal Lorenzo Baldisseri says married couples will have a prominent role in the Synod. 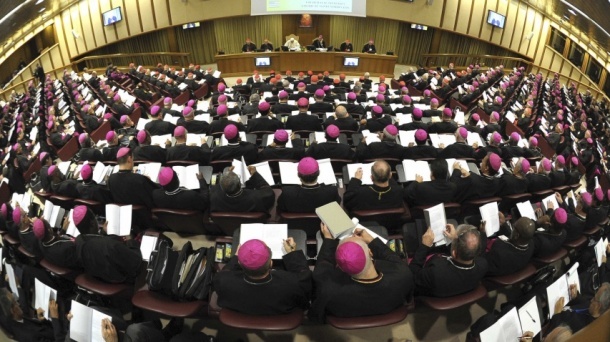 The Irish Bishops have asked the faithful to support the worldwide day of prayer for the Synod of Bishops on the Family which opens in Rome on 5 October. The theme of the synod is “The Pastoral Challenges of the Family in the Context of Evangelisation”. 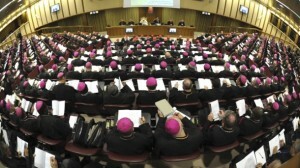 Synod members will seek to find ways to improve the pastoral application of church teachings, ways to explain it, and ways to help Catholics live it. Archbishop Diarmuid Martin of Dublin will represent the Irish Catholic Bishops’ Conference at the Third Extraordinary General Assembly of Bishops which will take place at the Vatican from 5 to 19 October. This Sunday, 28 September, is the worldwide day of prayer for the Synod and the bishops of Ireland have invited the faithful to “offer their prayerful support to the synod fathers”. The bishops have suggest that they pray the prayer below provided by Pope Francis during his Angelus address on the Feast of the Holy Family on 29 December last. Meanwhile, the secretary general of the synod, Cardinal Lorenzo Baldisseri, has said that married couples will have a prominent role in the Synod. The Cardinal said that wedded couples will address the group immediately after each topic is opened by a bishop. Each day will deal with a theme from the Instrumentum Laboris, a working document on the Synod that was published on 26 June. Topics will include polygamy and abandoned women but are also expected to cover the challenges posed by the Church’s teaching on contraception and divorce and remarriage in modern society. “We will discuss the problems that have also been highlighted by the media, regarding failed marriages, separations, divorces, etc. The topics that are relevant to the West, are much more sensitive without a doubt. But I would like to point out that each continent has its own specific issues,” the Cardinal told Rome Reports. Parishioners across the country are asked to pray this prayer as final preparations take place for the Synod.